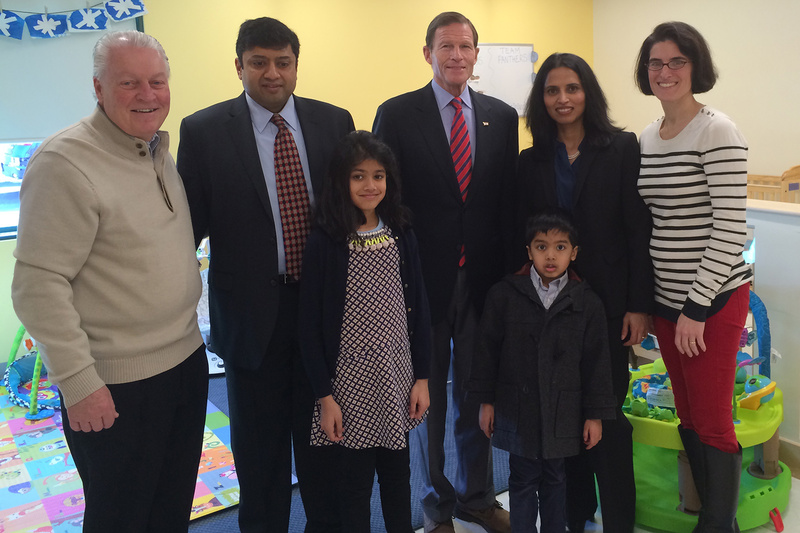 I was excited to join First Selectman Tetreau, Senator Blumenthal and the Gupta family to celebrate the opening of Fairfield's newest daycare center, Bright Beginnings. The center will serve numerous children and families as well as create up to 60 jobs. It also happened to be both Mr. Gupta's and Senator Blumenthal's birthday. More than one reason to celebrate!